Throw the “pass is king” in there, too. 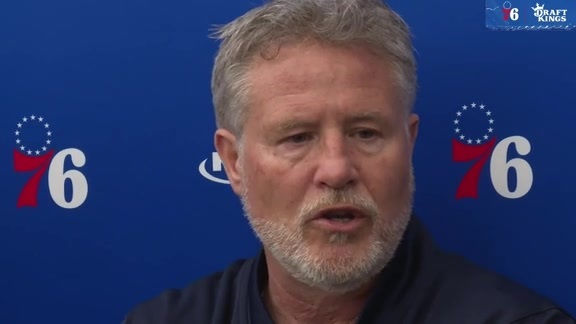 These are the stylistic and philosophical pillars Brett Brown has built the 76ers on during his six-year run as head coach. Tuesday against the Minnesota Timberwolves, all four factors came together in a beautiful blend, as the Sixers blew out their guests, 149-107. • The 149 points matched the biggest total for the Sixers since 1990. • The 42-point margin of victory tied a high for the Brett Brown era, and was just the 16th 40-point win in franchise history. • The Sixers hit 21 3-pointers, shattering the squad’s previous single-game franchise record of 18. • The Sixers’ 40 assists equaled the team’s highest total since 1991. Now, for what it all means. Of course, it’s nice and seriously impressive to rack up statistical accomplishments the likes of which the Sixers posted Tuesday at The Center. 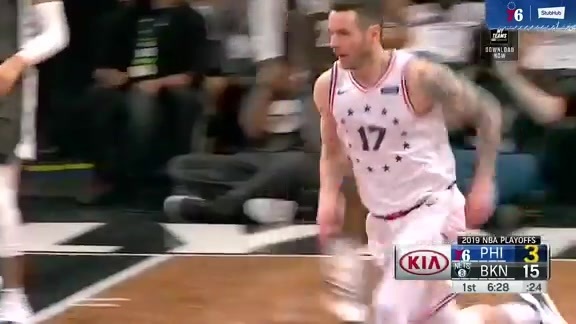 The Sixers ran Minnesota out of South Philadelphia on their terms, doing things their way. In respect to pace, the Timberwolves simply couldn’t keep up - whether with the Sixers’ speed in open court (28 fastbreak points), or their precision in the halfcourt. As far as spacing was concerned, there certainly proved to be enough. Joel Embiid and Ben Simmons crushed Minnesota on the inside, combining for 26 points in the paint. The Wolves were subsequently so preoccupied with trying to contain Embiid, Simmons, and, to a certain degree, Jimmy Butler, that wide open looks sprung up aplenty on the perimeter (Minnesota also had trouble with closeouts). The Sixers made the T-Wolves pay, sinking 48.8 percent of their 3-point attempts. We’ll get to the defense in a ‘graph or two, but first, let’s examine how the Sixers’ passing positively influenced Tuesday’s outcome. In a word, team was excellent at it, using a helper to set up 72.7 of its baskets. For context, the Sixers’ league-best assist percentage for the season is 65.8. Now, about the defense, the area in recent weeks where Brown has zoomed in even more than he would under normal circumstances. The Sixers stifled Minnesota to the tune of 38.9 percent shooting, a figure tied for fourth-lowest among all Sixer opponents this season. The Sixers tallied 11 blocks, producing their third double-figure swat total of the year, and outrebounded the Wolves by 20, 54-34. Most encouraging, though, was that within the opening minutes of Tuesday’s first quarter, the Sixers made it known they had their defensive “sting,” their edge back. Butler and Simmons both had early blocks, and there was lots of disruptive collective activity. The tone was set, and Minnesota couldn’t adapt. The Sixers were sharper, more aggressive, and reaped the rewards. 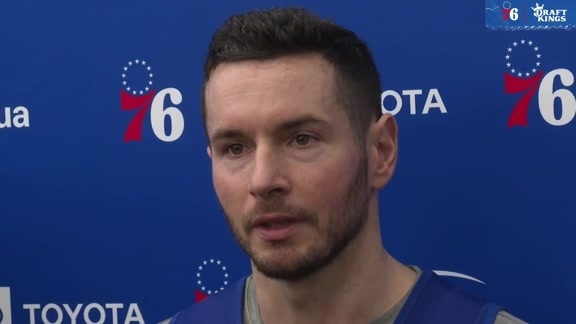 The development was most welcomed, coming on the heels of a three-game stretch against the Washington Wizards, Atlanta Hawks, and New York Knicks that left Brown wishing he had a stronger huch about how the Sixers might fare heading into arguably the hardest portion for their schedule. “I thought we came out with energy,” said Brown. “I thought we had a tremendous spirit, I thought we played defense, and we used that base to run. True, the Sixers thrived Tuesday within the realm of their traditional structure, but there were also a few new wrinkles thrown in. Brown felt the timing was right to experiment, so he did things like pair up Embiid and Butler for longer, and use Wilson Chandler at the three spot more than the four. “It was a perfect storm for us to be able to try to get a little bit more back on track,” Brown said.